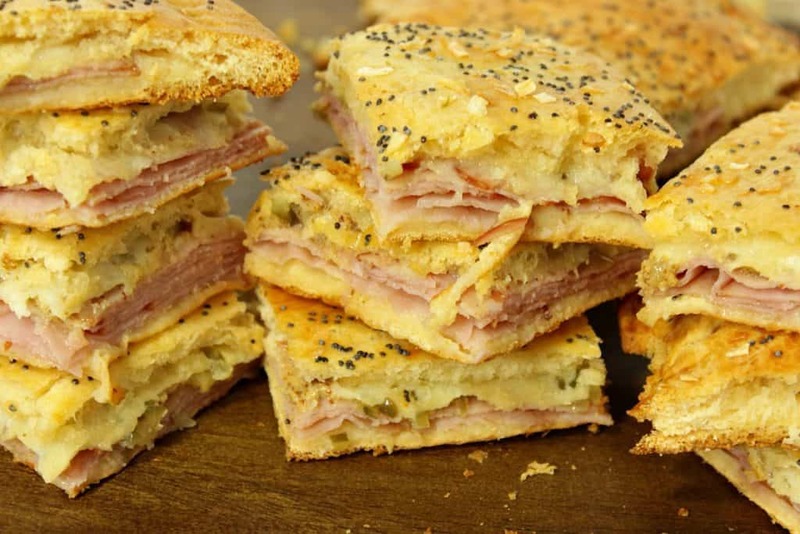 These Crunchy Crescent Ham & Havarti Appetizers will win rave reviews at any big game party. And with the use of everyone’s favorite store-bought crescent roll dough, they couldn’t be easier to make. I have always encouraged you, my readers, not to be intimidated in the kitchen and not to be afraid of altering the recipes you’re cooking and baking. This no-fear attitude in the kitchen is exactly how I came up with this recipe for Crescent Ham & Havarti Appetizers. Since I’d already had the crescent rolls, ham and Havarti cheese in the fridge, adding the mustard and sweet pickle relish seemed like a good way to bring even more flavor to an already tasty idea. Here a few ingredient substitution ideas you may be interested in trying. The assembly method and baking times will remain the same, but the fillings can be adjusted to fit whatever you have in your fridge, or whatever your favorite flavors happen to be. In place of the ham, try roast beef, salami, pastrami, turkey, and even browned ground beef. Instead of Havarti, why not try cheddar, Swiss, Munster, pepper jack, or how about spreading some cream cheese (mixed with a little milk, so it’s easier to spread). 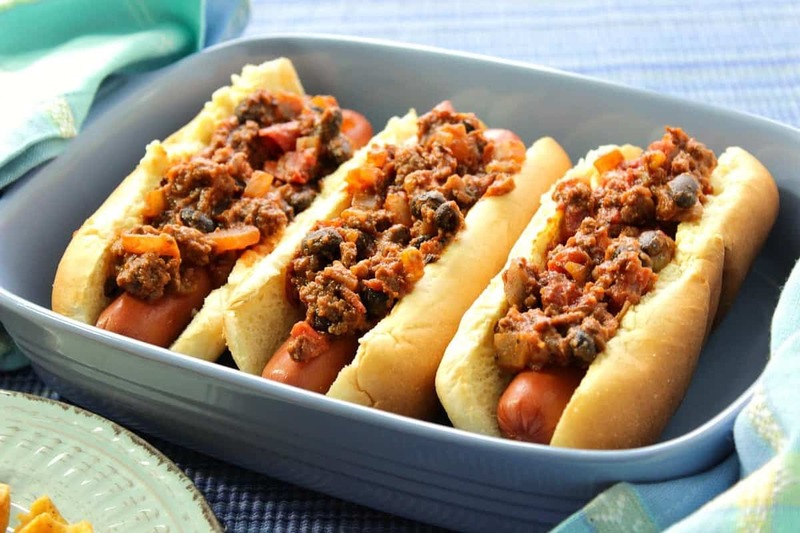 As a condiment try mayonnaise (or your favorite sandwich spread) in place of the mustard, and why not substitute dill pickles, roasted red peppers, or even giardiniera in place of the sweet pickle relish? It’s all good people! You can do this! Unroll one of the crescent roll tubes (un-perforated dough) on an nonstick baking sheet, and gently work it into an even rectangle (making sure to press together any holes or rips that may happen). 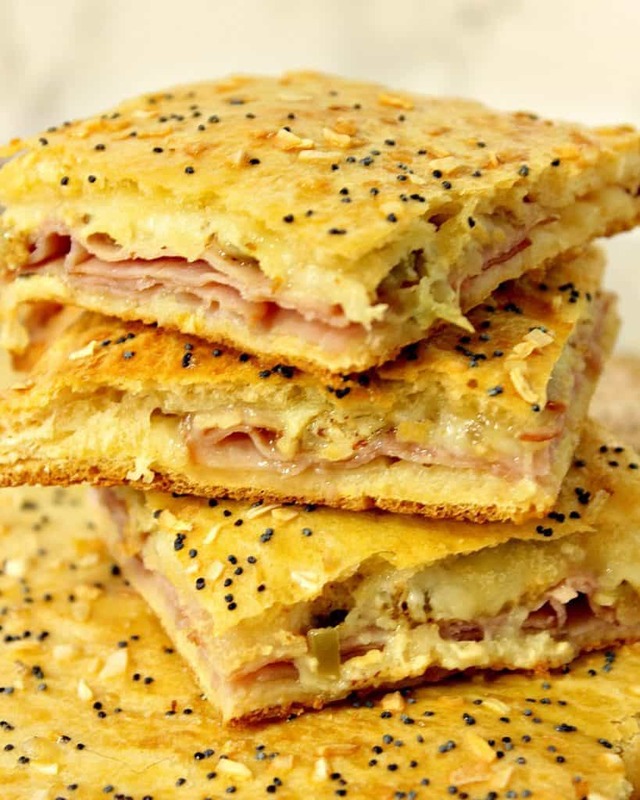 Top the crescent dough evenly with ham and sweet pickle relish, leaving at least a ¼” boarder of dough. Drizzle the mustard evenly over the ham and relish and top with the cheese. Working on a lightly floured surface, gently press the second crescent roll dough into an even rectangle and carefully transfer it to top of the ham and cheese filling. Use a paring knife to make three small steam holes, and use the tines of a fork to adhere the top and bottom doughs together. In a small bowl whisk together 1 egg and 1 tablespoon water and brush it evenly over the top dough. Sprinkle with poppy seeds and dehydrated onion. Bake in a preheated 400 degree oven for 20-25 minutes, or until the dough is golden brown. Cool slightly, cut into squares, and serve immediately. 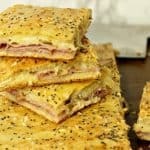 The following Amazon.com items are some suggested products I’ve chosen that will aid you in the making (and serving) of this recipe for Crunchy Crescent Ham & Havarti Appetizers, if needed. By clicking on the item, you’ll be taken directly to Amazon.com if you’re interested in purchasing any of these products. You are in no way required to do so, and you will not be charged in any way unless you decide to purchase a product through Amazon. 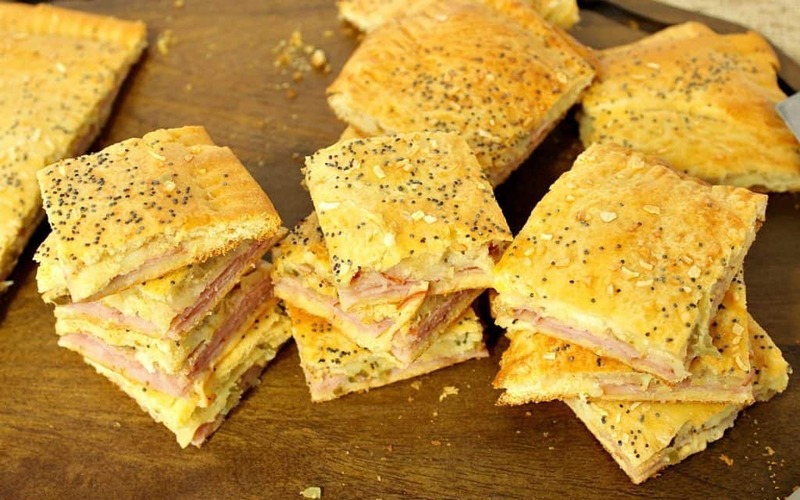 These Crunchy Crescent Ham & Havarti Appetizer Squares will win rave reviews at any big game party. 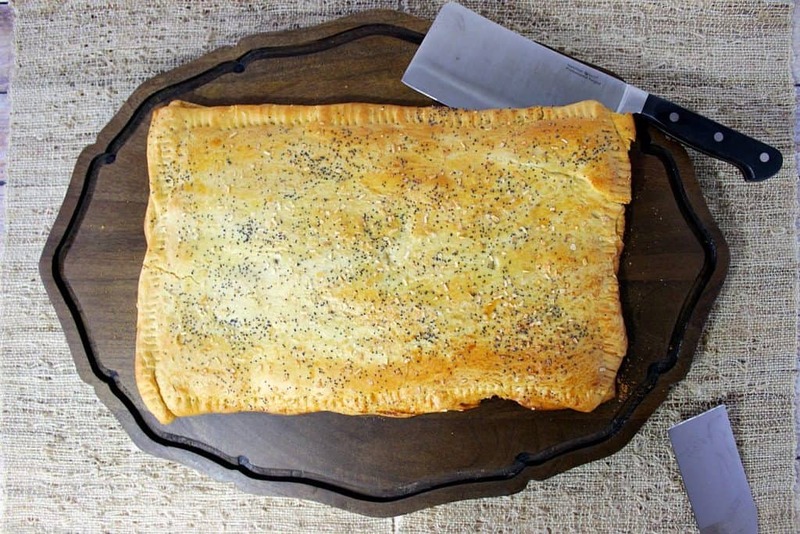 And with the use of everyone's favorite store-bought crescent roll dough sheets, they couldn't be easier to make. 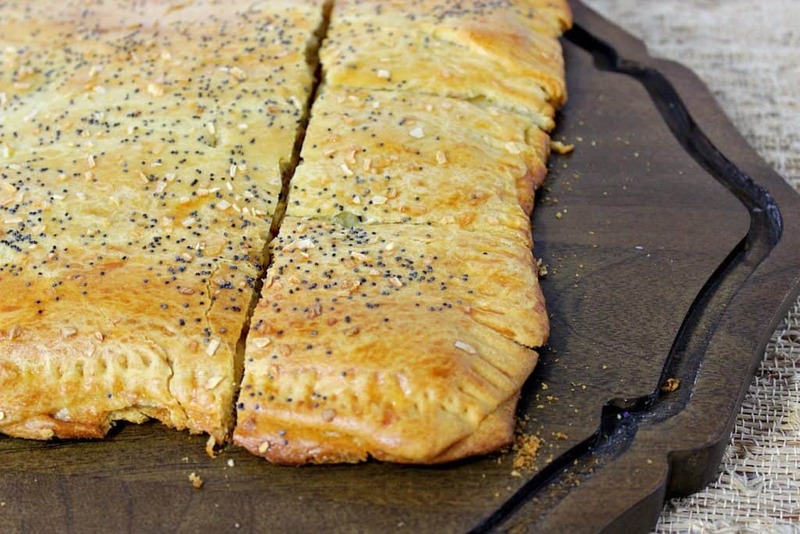 Unroll and flatten one crescent dough into an even rectangle on a non-stick baking sheet. 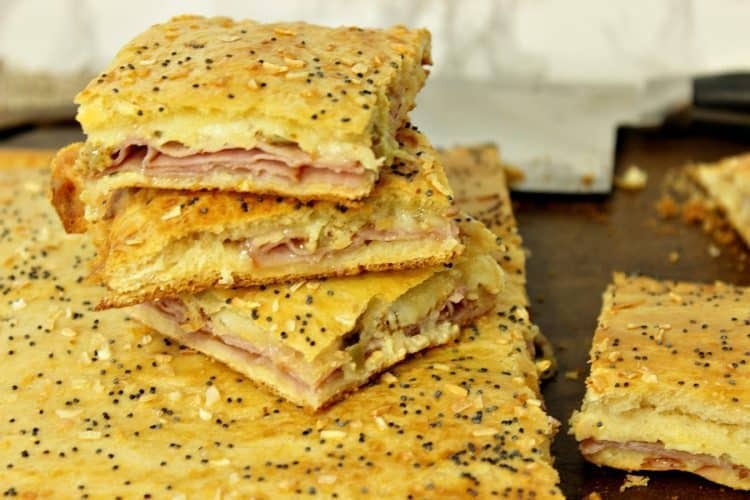 Top the dough evenly with the ham slices, leaving a ¼" border around the edges. Evenly top the ham with the pickle relish, mustard, and sliced cheese. Unroll and flatten the remaining crescent dough on a lightly floured surface to the same size as the bottom dough. 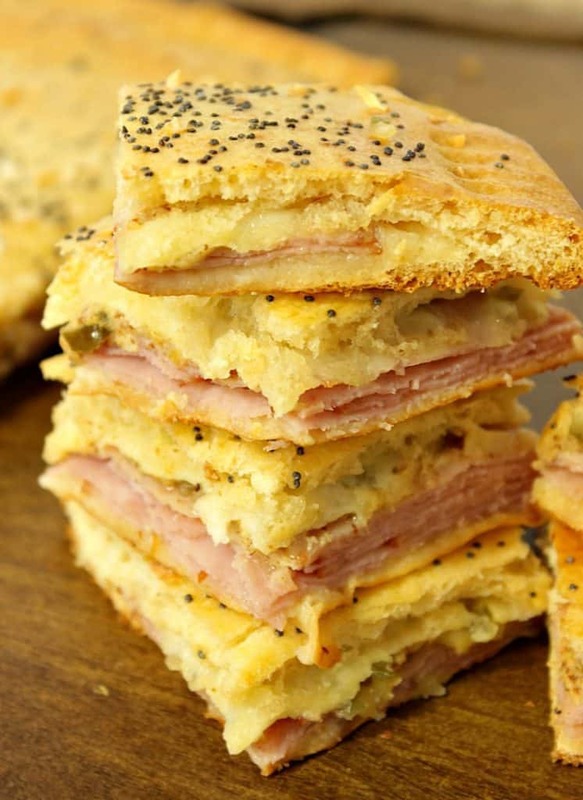 Carefully transfer the top dough to the baking sheet and place over top of the ham and cheese. Use a fork to press all four edges of the dough together, and use a paring knife to cut three small steam holes in the top of the dough. Mix together the egg and water and brush onto the top dough. Sprinkle the dough with the poppy seed and dehydrated onion. Bake in a preheated oven for 20-25 minutes or until the dough is golden brown. 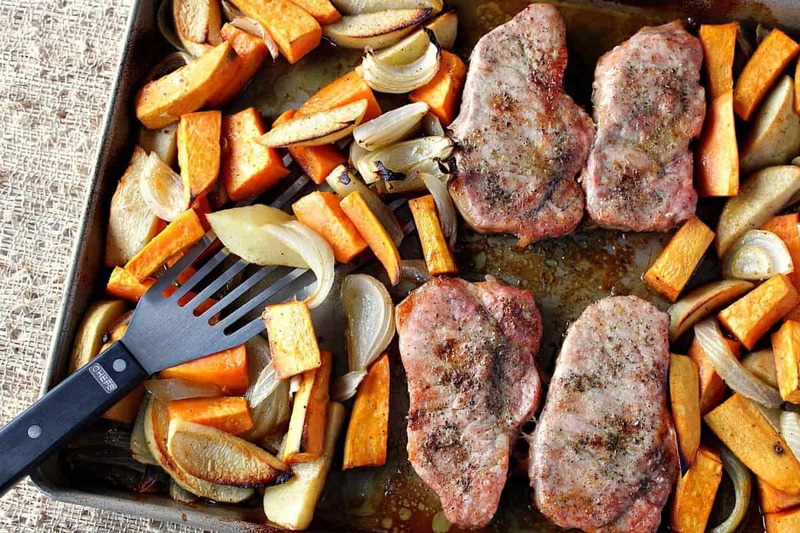 Remove from the oven, cool slightly, slice, and serve warm. I hope you’ve enjoyed this recipe as much as I’ve enjoyed bringing it to you! Until we eat again, please have a delicious day! These little sandwiches look SO yummy! They would be perfect for a party!